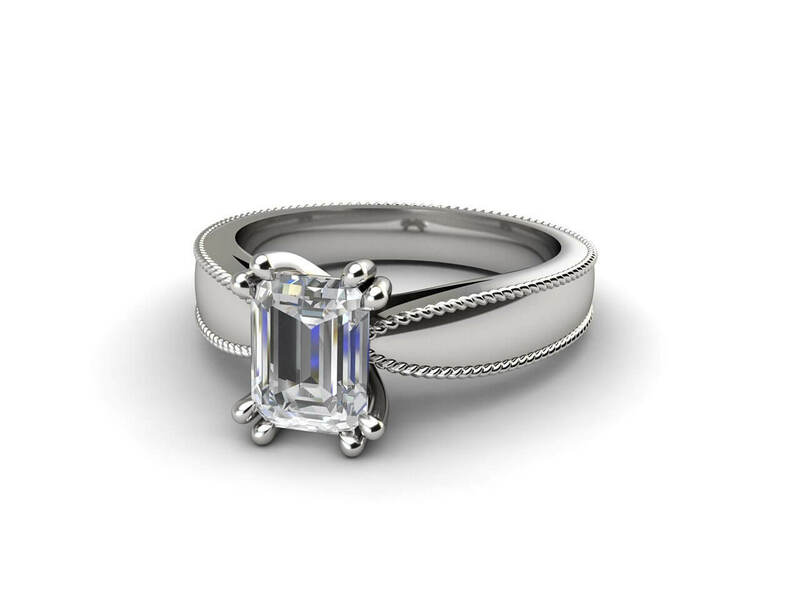 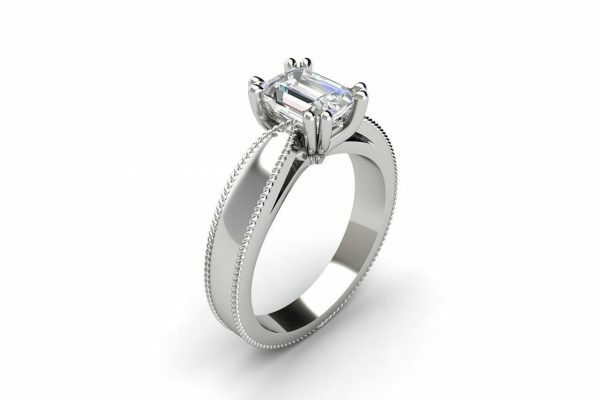 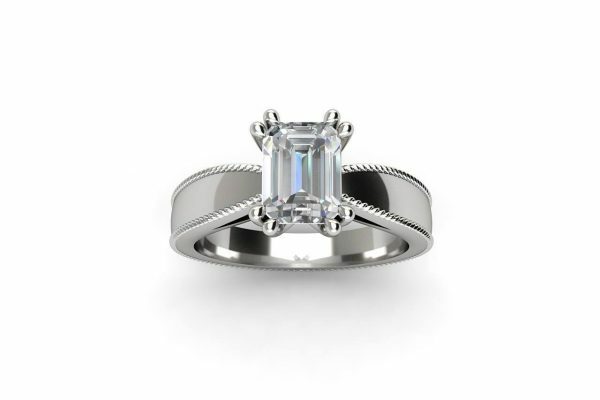 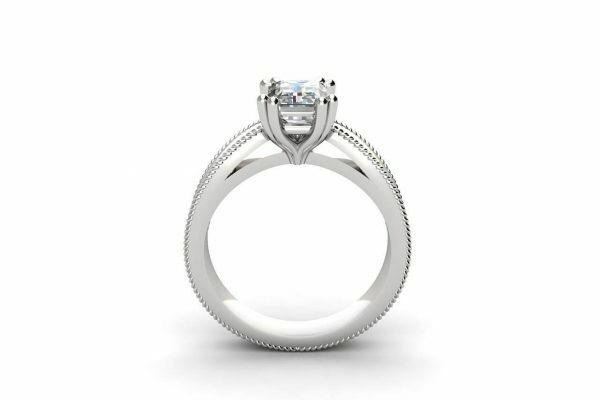 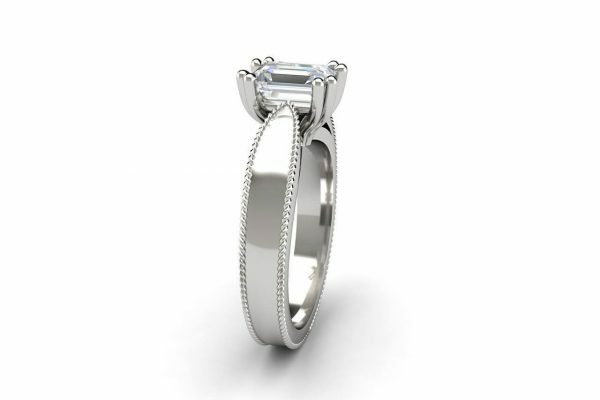 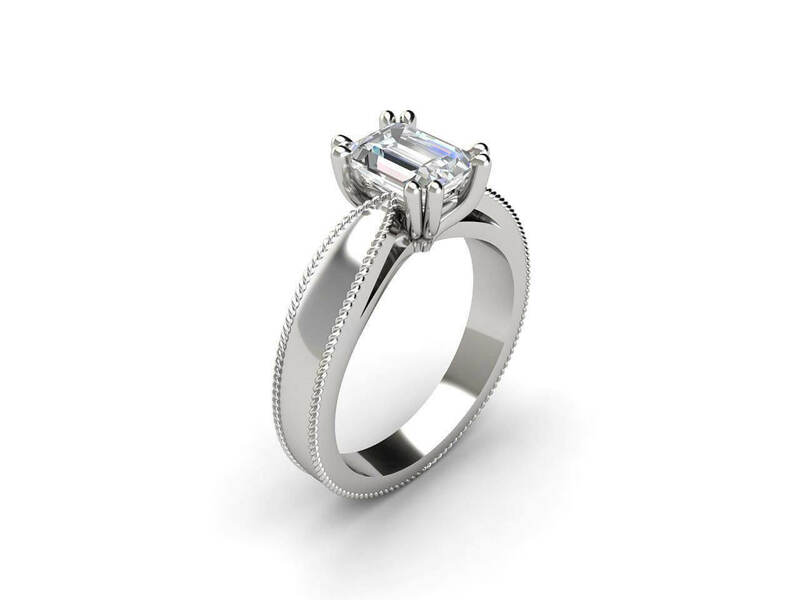 This beautifully set solitaire Emerald Cut Diamond engagement ring is one of our signature designs. 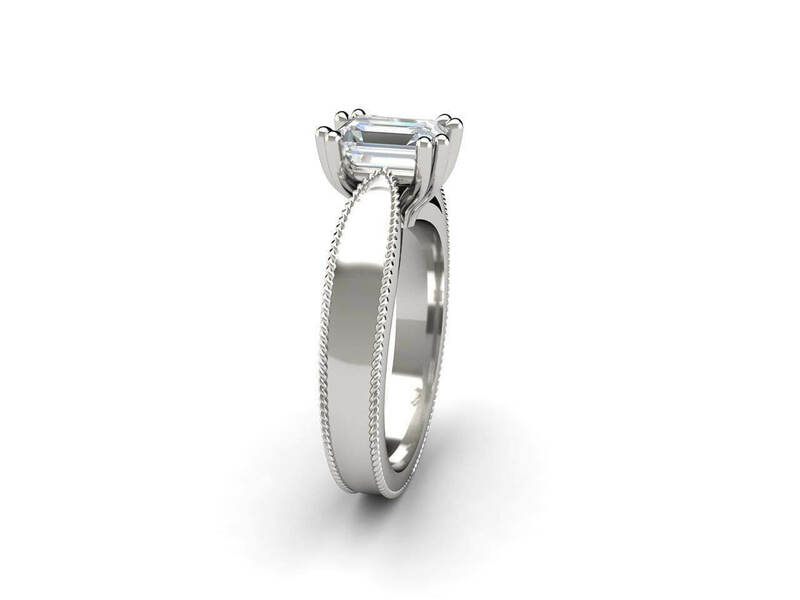 A grand GIA certified emerald cut diamond sits securely in a four double claw setting, which is emphasised by a tapered band with a heavy millgrain edging detail. 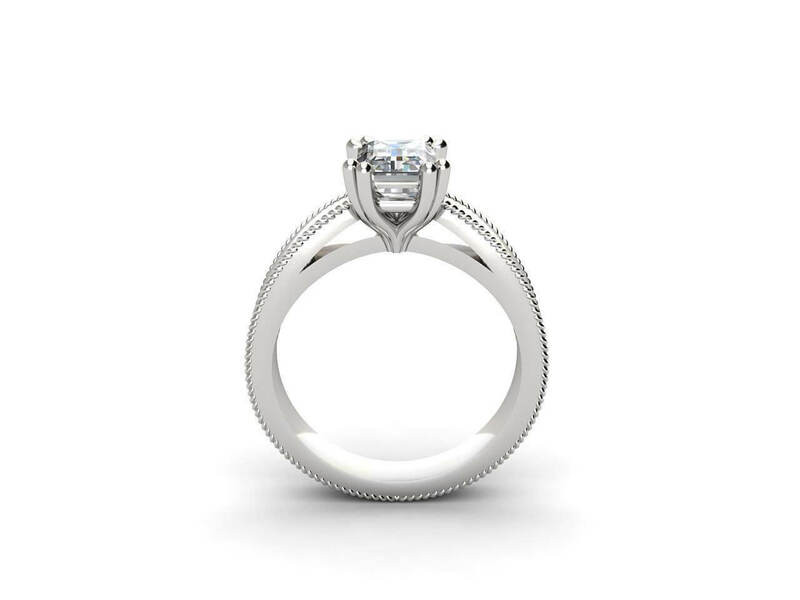 This classic ring can be custom made in 18k white gold, yellow gold, rose gold or platinum, and the size of the diamond can range from 0.70ct to 2.00ct.